At Doctors Hospital we are committed to providing the highest level of quality care easily accessible in an efficient and friendly manner. We understand you have many choices in the community for health care service and strive to instill the importance of customer service throughout all our patient care areas. You can be assured that Doctors Hospital is equipped with the most modern technology to assist your physician with diagnosing and treating your medical needs. Our primary focus is our patients' comfort, convenience and privacy. Our mission and values, as well as strong customer service philosophy guide our actions every day. As for Augusta, there s no place like the Classic South. Antebellum mansions, hallowed historic sites and quiet, tree-lined avenues that are perfect for a late summer afternoon stroll. While there are certainly plenty of Southern cities that boast this inviting landscape, there s something special about our community, something that can t be replicated in any other place. 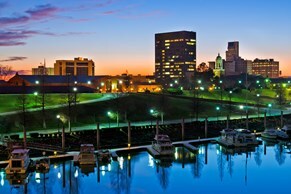 Nestled along the banks of the Savannah River, Georgia s second largest city offers its visitors and residents traditional Southern charm plus all the perks of metro living - arts, culture, shopping, education opportunities, fine cuisine, state-of-the-art healthcare, and sports. Here you can literally soak up the best of all worlds.